Our Family Fun Days consist of an exciting 2-3 hour tour of the farm! 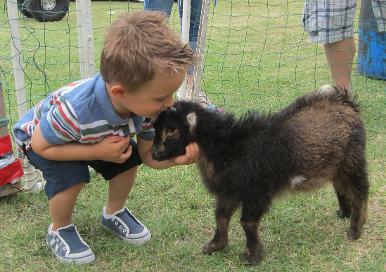 Both children and adults can partake in a tour of our petting barn and greenhouses. Afterwards, there are options such as going on a hayride, horseback ride, or just enjoy a hot dog, hamburger, and soda. For more information, please review the details below. Note: every child must have their parent/guardian present. Note: There must be a parent/guardian present with the child as they participate in the activities.